The Elite 350 Sleeping Bag from Terra Nova is designed to offer the performance you expect from a superlight down insulation. 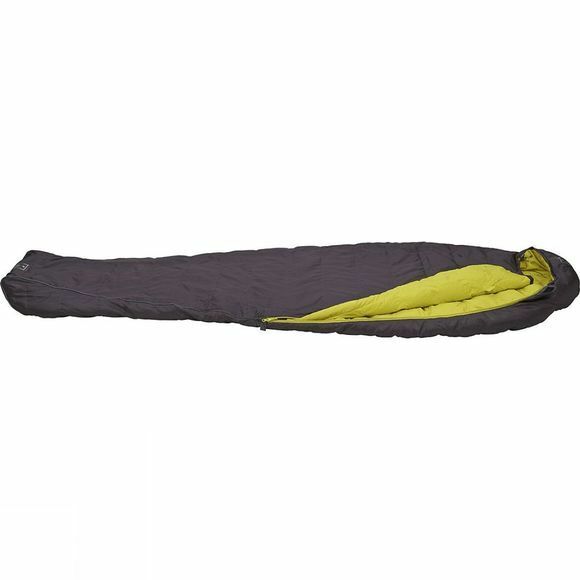 Designed for summer backpacking trips where size and weight need to be kept to a minimum. Fitted with locking zip sliders to keep the cold out, you stay comfortable all night. With a 3D hood and drawstring closure, you stay nice and snug. When the time comes to either get in or out, the zip guards stop the zipper from getting caught on the fabric and with the up and over zip pull, zipping and unzipping is easy whether you are in the bag or out.